This week, Kobe Bryant announced his retirement on The Players' Tribune, which is apparently an online poetry workshop started by Derek Jeter. Kobe emerged in 1996, fully formed with a cool name and at the perfect time for kids my age — nine- and ten-year-old kids who had yet to realize pro basketball was not a realistic career path. Bryant's performance this year has been agonizing, to say the least. He plays like retirement itself is checking him on the court, frantically throwing up contested three-pointers and refusing to drive to the hoop out of fear that Retirement slam him to the ground one last time. But even if deep air balls, blowout losses, and botched dunks blemish the Grey Mamba's amble toward the finish line, we shouldn't forget the Kobes we grew up with. So, in honor of his original jersey number, we ranked the best eight. An infamous 2010 L.A. Times Magazine photo shoot gave us these enduring off-court images of Kobe. From his "evil wax museum pilgrim" look to "eccentric beach wedding planner", suddenly we saw a new side to the ruthless competitor — a side that isn't afraid to hit the blacktop immediately after getting kicked off the set of the "Smooth Criminal" video for outshining the star. He had a whole rap song! 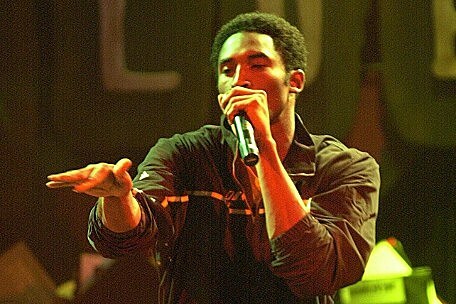 So, Kobe Bryant is more accomplished as a rapper than I am as a writer. That's pretty good! 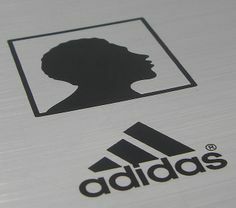 Among young Kobe's many endorsement deals, the partnership with Adidas stood out. The company invested nearly $50 million in the recent high schooler, and within a year developed an ad campaign as sleek as the shoes. But the sneakers were more style than substance, and the partnership didn't last. 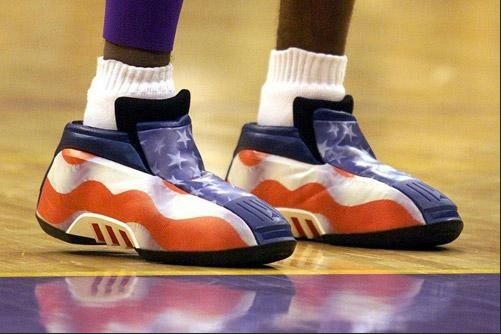 Eventually Kobe was drawn to the bug zapper light of Nike, and we were deprived of worthy sequels to the most patriotic sneakers this country will ever see. Whatever happened to trash talkers? These days, ballplayers only seem to care about, "is this selfie carb-free?" or "pretty please speak at my wedding!" Kobe may very well be the last of his breed: a man more than willing to stick a finger in your face, knock you down a few pegs, and beat your team in the process. Rifling through photos of an injured Black Mamba sulking on the bench, one is reminded of the iconic Sad Guys On Trading Floors Tumblr. It makes sense. Both groups of people are witnessing painful, life-altering meltdowns over which they have no control. Trading floor guys yell into their phones and at the screens, Kobe barks at his teammates and takes out frustration on overzealous fans. In the end, everyone leaves having lost something. Don't you just hate your high school prom picture? What were you thinking with that hair? Honestly I can't believe your date let you wear a top hat. Embarrassing. 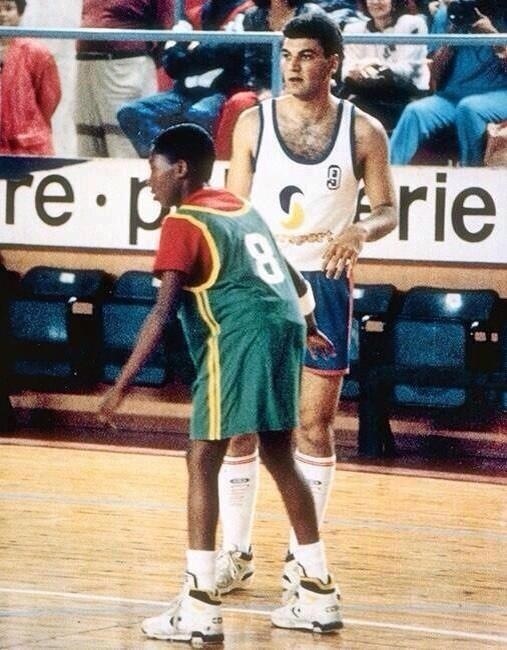 Not Kobe, though. His prom came complete with jealous onlookers, elegant suiting, and a regal beauty named Brandy. Maybe you've heard of her. So, your prom wasn't as timeless as Kobe's. But both of you probably had a relentless affinity for Oakleys and Walkmans. Conspiracy theorist NBA fans (of which there are many) swear Kobe wears a hot air balloon over his torso as a veteran foul-drawing tactic. 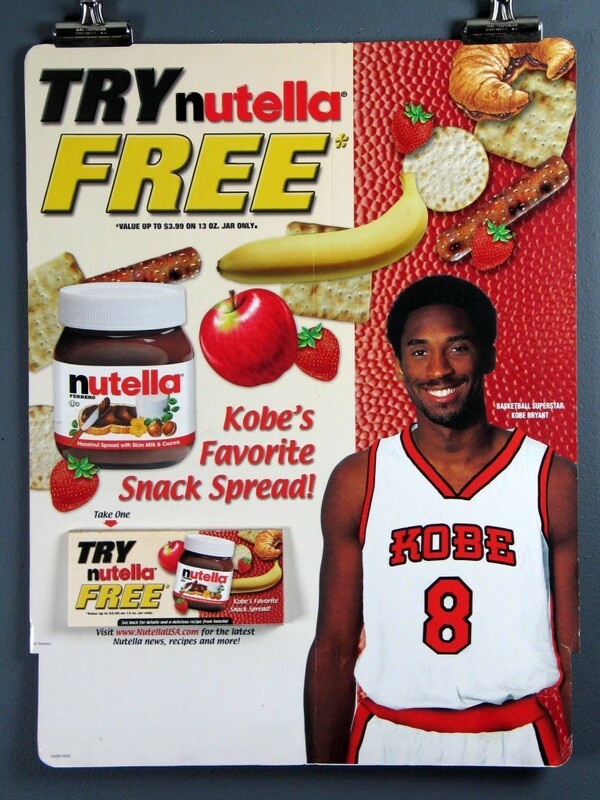 I prefer to think Mamba is just out of touch and/or disinterested in what the kids are wearing these days. "I like Kobe better when he has an Afro." Don't we all, Person Who Hasn't Watched A Basketball Game Since 1999. Don't we all.